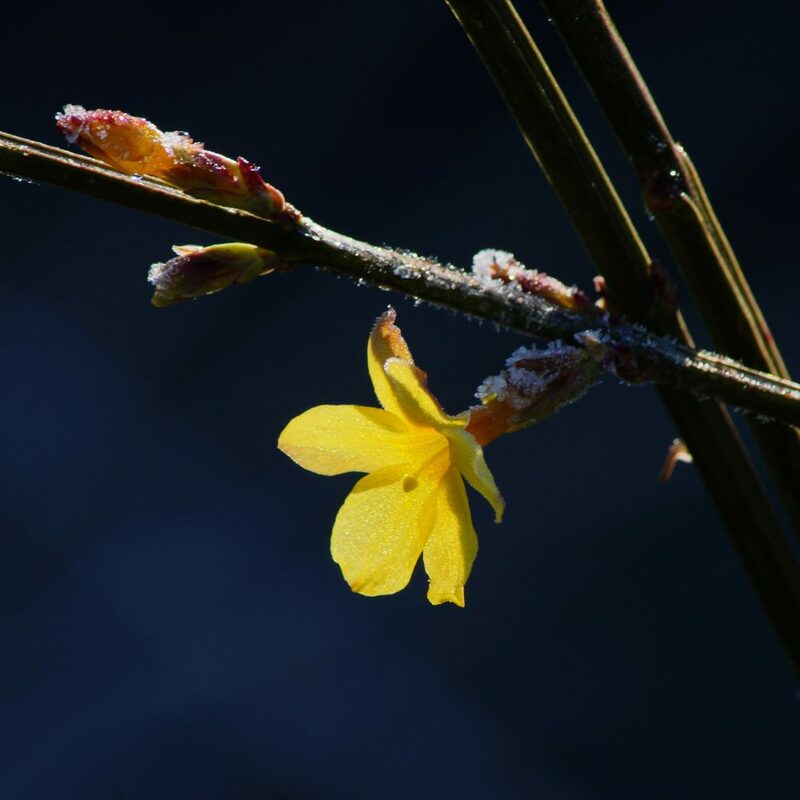 Jasminum nudiflorum, the winter jasmine, is a slender, deciduous shrub native to China. Due to its blossom peaks right after winter, it’s also named Yingchun in Chinese, which means “the flower that welcomes Spring”. The stems are bright green and give an evergreen impression, even in winter when the tiny bright yellow blooms appear. It makes an excellent cut flower. It is best grown in fertile, well-drained soil in full sun. Regular pruning keeps bushes under control and prevents bare patches from appearing. 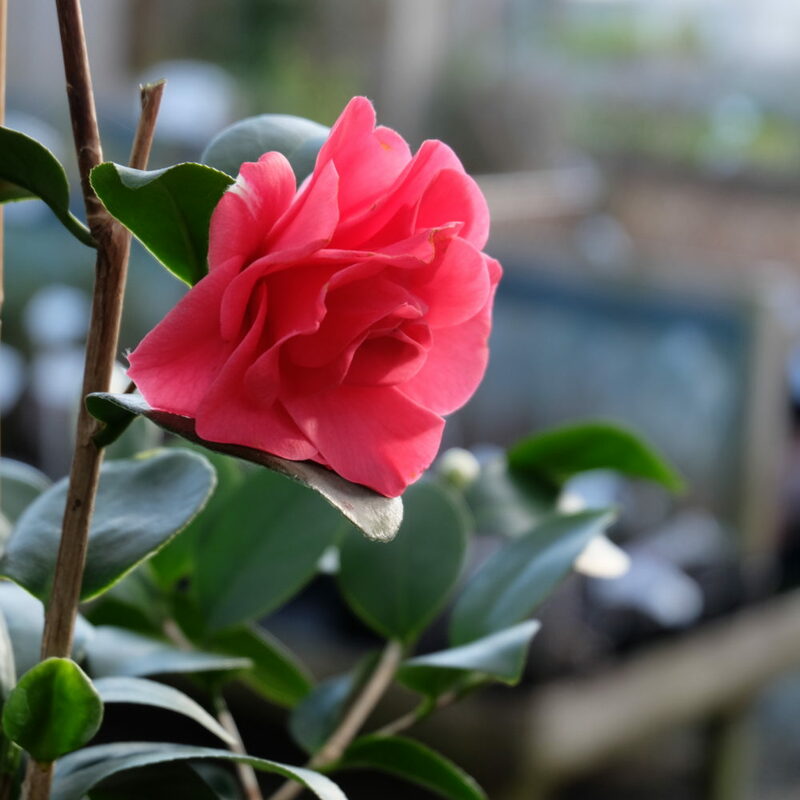 Camellias are one of the most popular winter- and spring-flowering shrubs, providing a vivid splash of colour when little else is in bloom. Although they need acid soil, they are easy to grow in containers of ericaceous (acidic) potting compost. Camellias make an attractive shrub for a sheltered spot. For best results, grow beside a wall, which will protect it from the harshest winter weather, and preferably out of early morning sunlight, which can damage flower buds after a frost. Water potted plants with rainwater.